Gift baskets are popular for many reasons, particularly because each basket brings a special message along with its medley of unique gifts. Here at Adorable Gift Baskets®, we strive to bring delight and satisfaction not only to our loyal customers but also to their loved ones who are receiving them. You may be wondering why some gift baskets are as popular as they are? Honestly, it is because these are the gift baskets that make people gasp in delight when they receive them. Each selection contains small touches, creating the perfect gift display to help loved ones celebrate special moments. Here at Adorable Gift Baskets®, we strive to select each basket's contents carefully, choosing items we know our loyal customers will appreciate and their recipients will remember with fondness. We make gift giving easy with expertly arranged, specially designed baskets perfect for sending or hand delivering. Some popular gift baskets arrangements are designed for special holidays while others commemorate milestones throughout the year. 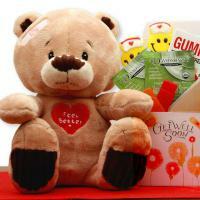 Here at Adorable Gift Baskets®, we offer gifts to cheer someone up or let them know you are thinking of them. 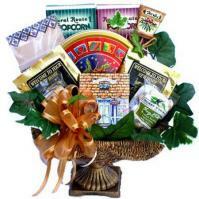 The gift baskets displayed on our website are truly the ones that sell time after time. Our customers know what they like. They also remember their gift recipients' reactions, allowing them to know exactly which type of decorative basket to search for and buy for the next special occasion. It's not just about choosing a theme. More often than not, our popular gift baskets deliver unique twists in gift items. 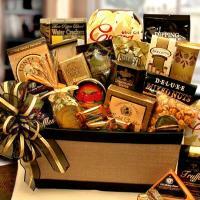 You can find carefully selected sweets or hard-to-find gifts inside each one of our best selling gift baskets. Popular gift baskets from Adorable Gift Baskets make a powerful statement. Some baskets are extravagant in presentation while other baskets are extravagant in what they say. Whether you are looking to create a twinkle in the eyes, bring tears of joy, or make everyone in the room smile with envy, our gift baskets are perfect. They combine practicality with awe-inspiring creativity. Time and time again, our gift baskets hit the number one spot on many a birthday, graduation, or special holiday thanks to their impressive display of wildly popular items. Each of our baskets includes an enjoyable variety of carefully chosen gift items, creating a unique theme. You may even find yourself tempted to get one for yourself!